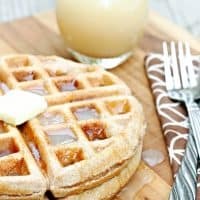 WHOLE WHEAT WAFFLES WITH HOMEMADE VANILLA SYRUP — Crispy on the outside and fluffy on the inside, these whole wheat waffles are extra special when served with homemade vanilla syrup. I’ve tried a lot of homemade waffles in my life and there aren’t very many that I repeat. 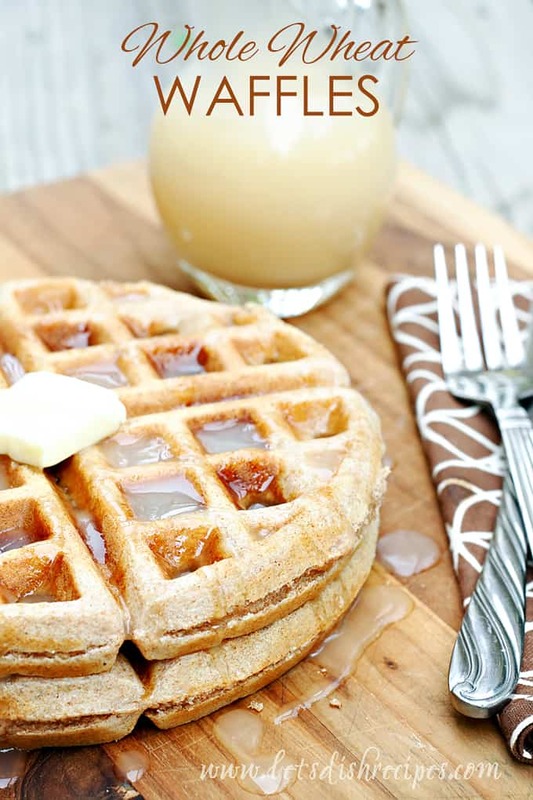 But these Whole Wheat Waffles with Homemade Vanilla Syrup are a regular on my breakfast menu. When it comes to waffles, I want a recipe that’s a balance of simple and delicious. I just don’t have time for whipping up egg whites and folding them into the batter and things like that. 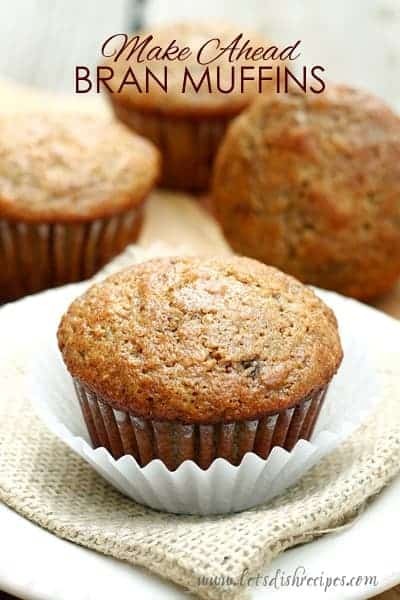 I have three boys who wake up hungry, and they aren’t waiting around for that! And no soggy waffles for sure. I like a crispy outside with a soft and tender middle. When it comes to whole wheat waffles, it’s been even harder to find what I’m looking for, but I think this recipe is the answer! To take your waffles completely over the top, I strongly urge you to make the Homemade Vanilla Syrup. It’s so easy and so worth it! Top your waffles with some whipped cream, fresh sliced bananas and some of this homemade syrup and it’s pretty much waffle heaven. (But seriously. Make the syrup!). Crispy on the outside and fluffy on the inside, these whole wheat waffles are extra special when served with homemade vanilla syrup. To make the waffles: Preheat waffle iron. Spray with non-stick cooking spray. Beat eggs in large bowl with hand beater until fluffy. 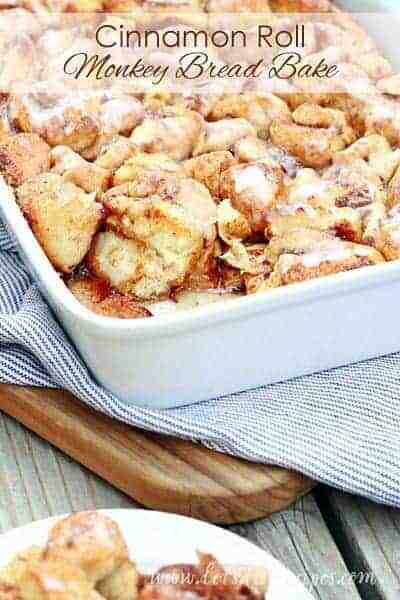 Beat in flour, milk, vegetable oil, sugar, baking powder, salt cinnamon and vanilla until smooth. Pour about 1/3 cup of batter (amount will depend on the size of your waffle iron)onto hot waffle iron. Cook until golden brown. 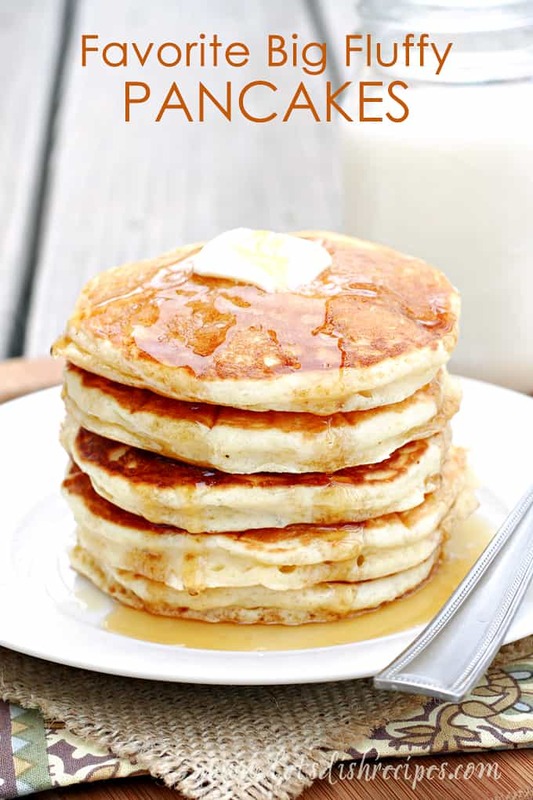 To make syrup: In a medium sauce pan whisk together water, sugar and cornstarch. Bring to a boil. Boil, stirring constantly for 3-5 minutes. Reduce heat. Stir in butter, salt and vanilla until butter is completely melted. Add heavy cream and simmer a few minutes longer. How should I store the syrup and how long does it last? Haha I put my email in wrong so I’m trying again. How long should I store the syrup and how long does it last? I put the syrup in the refrigerator (but you have to warm it up a bit to serve it). I’d say it will last up to 5 days, but I’ve never actually had leftovers that long!